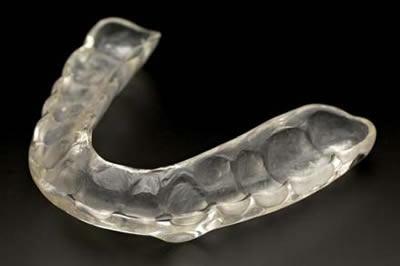 Occlusal splints, also known as night guards, can be ideal for people who grind or clench their teeth during sleep. An occlussal splint is recommended to protect upper and lower teeth from grinding forces. To increase comfort and effectiveness it is custom made to suit your teeth and bite. We make them as small and thin as possible to limit discomfort. Occlussal splints are usually worn at night, when most people grind their teeth and sometimes during the day if necessary. Occlussal splints can reduce tooth wear, chipping and prevent fillings or porcelain restorations from breaking. They can often, also help to prevent stress and tension related headaches, and Temperomandibular Joint (TMJ) Disorder.